Mrs. Suzanne Emilia Dutton was born in Kansas City, Mo., to Robert R. Fleisher and Louise Plath Fleisher on May 31, 1933. Suzanne passed away surrounded by family on March 15, 2019 in Merced, Calif., at the age of 85. 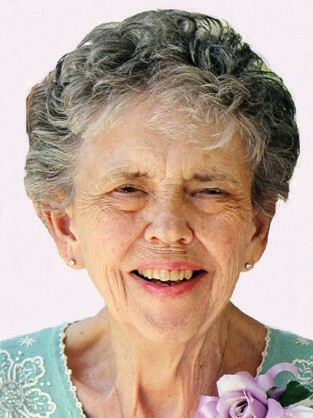 Suzanne was a resident of Merced for the last four years. She was also a long-time resident of Catheys Valley for 30 years. Suzanne was very active in her community from being a retail business owner to homemaker. She also loved to travel the U.S. with her husband, Fred, as they were professional truck drivers. She kept busy with many activities and clubs. She was a member of the Women’s Lions Club in Mariposa and the Catheys Valley Garden Club. She was a long-time member of St. Luke’s Anglican Church in Merced and St. Nicholas Anglican Church in Atwater, Calif.
Suzanne was a dedicated wife and mother who raised two very active daughters and was always there to support her family. She loved fishing, gardening and ceramics as well as arranging flowers. Suzanne was preceded in death by her parents, Robert and Louise Fleisher. Suzanne is survived by her loving husband, Fred Lee Dutton; daughters, Roberta Dutton Lowe and Cynthia Dutton Fields; brother, Robert J. Fleisher. Suzanne also leaves behind to cherish her memory four grandchildren, four great-grandchildren and many more family members and friends. A funeral service for Suzanne will be held on March 23, 2019 at 10 a.m. at Stratford Evans Merced Funeral Home, 1490 B. Street Merced. In lieu of flowers, the family requests memorial donations be made to the Shriners Children’s Hospital at https:// showthemlove.org or by calling 844-739-0849.